Protein structure prediction is defined as predicting the tertiary structure from the primary structure of the protein sequence. Because the real protein structure is very complex, it is necessary to adopt the simplified structure model for studying protein 3D space structure. In this paper, we introduce a kind of 3D AB off-lattice model for protein structure prediction, and the amino acids are labeled as two hydrophobic amino acids and hydrophilic amino acids. When the protein model is simplified, the optimization algorithm is also needed to use for searching the lowest energy conformation of the protein sequence based on the hypothesis theory. In this paper, a hybrid algorithm which combines PSO algorithm based on local adjust strategy (LAPSO) and genetic algorithm, was proposed to search the space structure of the protein with AB off-lattice model. Experimental results show that the minimal energy values obtained by the improved LAPSO are lower than those obtained by previous methods. The performance of our improved algorithm is better, and it can effectively solve the search problem of the protein space folding structure. 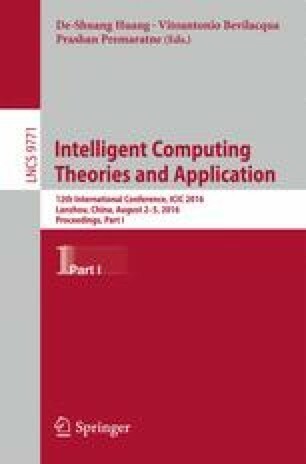 The authors thank the members of Machine Learning and Artificial Intelligence Laboratory, School of Computer Science and Technology, Wuhan University of Science and Technology, for their helpful discussion within seminars. This work was supported in part by National Natural Science Foundation of China (No. 61502356, 61273225, 61373109).